This iPhone XR Tough Case is built to keep your smartphone protected and secure. It boasts a dual layer case for extra durability and protection. Give your Apple phone a new look with this custom case! 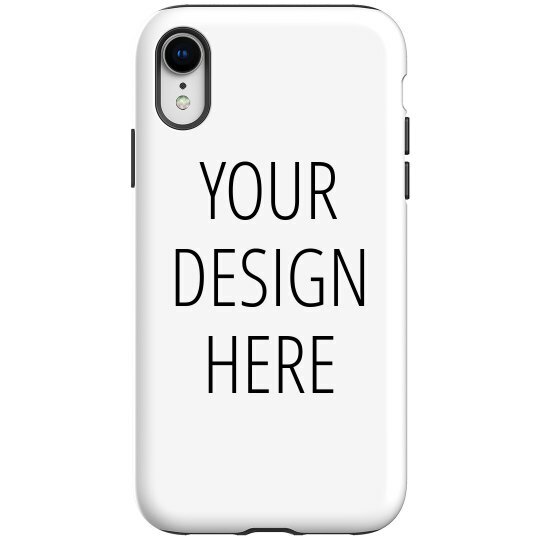 Looking for the ultimate custom phone case? Look no further. This durable phone protector may look simple now, but wait until you're done with it! You have the option to upload a full color photo of something you love - sports, friends, family, significant others! Or, you can just add some fun text and art in our design center and call it a day. Whatever you choose, your phone will be totally transformed.